GRAYBACK, under Cdr. J. A. Moore, left Pearl Harbor on 28 January 1944, to begin her tenth war patrol in the East China Sea east of the coast Of Chekiang Province, China. She topped off with fuel at Midway, and departed from there on 3 February. On 12 February, she was sent orders to patrol the area running east and west between Luzon and Formosa from that date until sunset 20 February 1944, and then to proceed to her original area. GRAYBACK made her first report on 24 February at 25° 14'N, 122° 58'E, stating that she had sunk or damaged 44,000 tons of shipping thus far on her patrol. She had sunk a TARAYASU MARU class ship on 19 February and sunk a TATSUTA MARU class on 24 February, also damaging a freighter and tanker of unknown classes during the latter attack. She had five torpedoes left aft and one left forward. The following day she reported from a position about 22 miles northeast of her former position, telling of new successes. She had fired four torpedoes aft, and had made three hits on two enemy freighters. When this message was received, she was ordered to return to Midway, and she was expected about 7 March 1944. Had she failed to receive this message and remained her full time on station she would have reached Midway about 23 March. On 10 March, in an effort to establish her position, GRAYBACK was requested to furnish information as to where she had found the best hunting. No answer was received, and on 30 March 1944, GRAYBACK was reported as presumed lost. Commander Moore had been known for his conservative estimates of damage inflicted on the enemy, and at the time of the report concerning her loss, it was recommended that GRAYBACK be credited with the claims made by him in his despatches. Japanese information made available since the cessation of hostilities records an anti-submarine attack which probably explains GRAYBACK's fate. It came on 26 February 1944, and in about the expected position of GRAYBACK at that time. 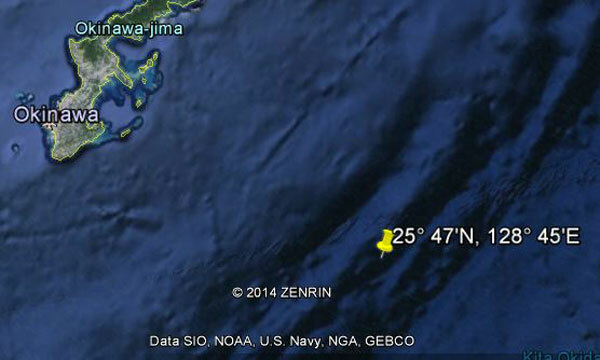 The enemy tells of finding a surfaced sub 25° 47'N, 128° 45'E. A carrier plane [from the land based Okinawa Naval Air Group (editor's comment)] "gave a direct hit at the sub, which exploded and sank immediately." The attack was continued by surface craft at the point where bubbles rose, and an oil slick appeared covering an area of 100 by 250 meters. GRAYBACK was credited with an estimated 25,000 tons sunk and 25,000 tons damaged on her final patrol. In the first nine patrols of this vessel, she is credited with 22 ships sunk, for 83,900 tons, and 9 damaged for 49,300 tons. She began her career as a patroller in February 1942, in the Bonin Islands. On her first patrol GRAYBACK sank two freighters and a patrol craft. This vessel made the passage from Pearl Harbor to Fremantle, Western Australia on her second patrol, and encountered no enemy vessels in the Mandates enroute. GRAYBACK covered the South China Sea approaches to Saigon, French Indo-China, in her third patrol, but made no successful attacks. She went to the Solomons for her fourth patrol, and sank two large transports, while damaging a large freighter. Her fifth patrol was in the same area, and she sank four landing craft and damaged an enemy submarine. In addition she acted as a reference vessel for a bombardment of Munda on 4-5 January 1943, and rescued six U. S. Army aviators stranded ashore the following evening. In the Solomons area, GRAYBACK's sixth patrol resulted in the sinking of one freighter. She made the passage from Australia to Pearl Harbor for overhaul on her seventh patrol. Enroute she damaged five freighters and a destroyer. Her eighth patrol, in the South China Sea, resulted in GRAYBACK's being credited with a freighter sunk, an unidentified vessel sunk, a transport sunk in cooperation with CERO, and a freighter damaged. In her ninth patrol, GRAYBACK went to the East China Sea area. She sank four freighters, a sampan, a patrol vessel, and damaged another freighter. In addition, during this patrol on 18 December 1943, GRAYBACK sank the Japanese destroyer NUMAKAZE near Okinawa. GRAYBACK has been awarded the Navy Unit Commendation for the period of her last four patrols. 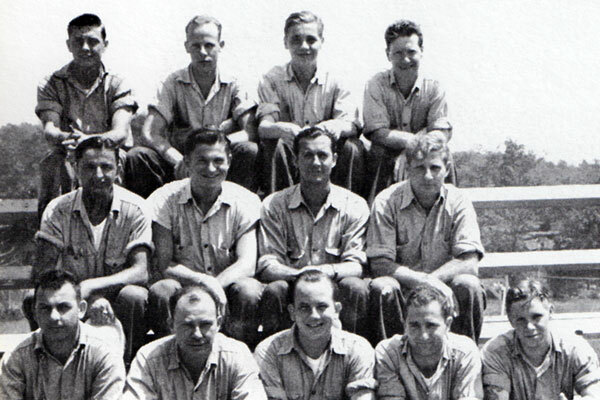 See also Ed Howard's Final Patrol page on USS Grayback (external link).